to be efficiently used in leisure activities, daily life, and also in disasters. The White Hole LED flash light also provides waterproof function, and the luxurious packaging and the strap adds to the value of the product. The ergo-dynamic design enables comfortable grip, and the product can be used up to four hours with the brightening distance over 30 meters. The third version of the product, Smart White Hole LED flash light is provided in three colors of black, sky blue and pink, and uses CREE XP-C 1W LED to enable 1.118 candela of brightness. D&CI Co., LTD was established in 2009 and specializes in LED products through differentiated design, material and optimized technologies of heat dissipation, optic design and surface treatment. Through the philosophy of harmony between light and humans, D&CI Co., Ltd. is aiming to be an eco-friendly brand combining design and technology into the product. JUSUNG Engineering is a leading process equipment technology provider for the semiconductor, flat panel display, solar cell, and lighting industries. Since its founding in 1995, Jusung’s innovations enable customers and partners to produce advanced technology products while maintaining cost competitiveness and shortening time to market. The company’s emphasis on generating unique and innovative products has led to over 1,600 global patents and multiple prestigious awards such as Korea’s 10 Best Technologies and World-Class Product Designation. The company’s world class R&D center, manufacturing, and administrative offices are located outside Seoul, with sales and service centers around the world in China, Taiwan, Japan, the USA, EU, Malaysia, and the Philippines. Now it is a leading technology provider for the latest generation processing equipment used by the world’s top flat panel display manufacturers. It provides solutions for PECVD, a-Si, as well as the World’s first IGZO MOCVD processing equipment. For solar cells, this maker also provides a wide suite of processing equipment, including crystalline and thin film solutions. Proven technology with 342MW installed worldwide, available as a single processing tool, or turnkey solution. And leveraging its core technology in deposition and large area processing expertise, JUSUNG has entered the lighting industry with two technological breakthroughs. For LED application, it developed the world’s first Gen4 OLED processing for lighting applications. [INQ. NO. 1310C41] With an ambition to enter the global green energy markets, N.L.TEK started business with manufacturing bicycle light, the very beginning of carbon-free energy. Now, the company has grown as the developer and manufacturer of lighting apparatus using LED and secondary battery packs, and it produces various lighting apparatus for both leisure and industrial purposes, such as those for MTB, daily bicycles, mountaineering, industrial sites and battery packs for electric bicycles using secondary battery. The company has successfully entered international market by exporting the lights for MTB and daily bicycle in 2010 for the first time in Korea and is currently aggressively involved in LED markets for industrial sites and outdoor purposes home and abroad. 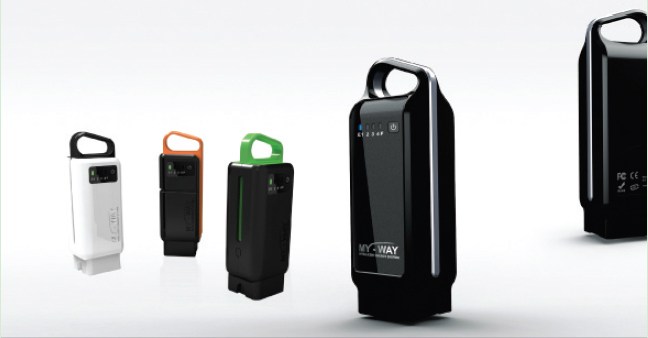 Starting with export of battery packs for electric bicycles to Japan in 2011, the company is expanding its markets for secondary battery pack for electric bicycles to the world. N.L.TEK has been investing heavily into R&D activities to lead the fields of LED lighting and eco-friendly secondary battery in the 21st Century and putting its efforts into the area of new product developments and stable manufacturing system. Best intention from all of N.L.TEK members is assured at all times to realize ultimate customer satisfaction from product development to delivery to the customers. JUSUNG Engineering is a leading process equipment technology provider for the semiconductor, flat panel display, solar cell, and lighting industries. Since its founding in 1995, Jusung’s innovations enable customers and partners to produce advanced technology products while maintaining cost competitiveness and shortening time to market. The company’s emphasis on generating unique and innovative products has led to over 1,600 global patents and multiple prestigious awards such as Korea’s 10 Best Technologies and World-Class Product Designation. The company’s world class R&D center, manufacturing, and administrative offices are located outside Seoul, with sales and service centers around the world in China, Taiwan, Japan, the USA, EU, Malaysia, and the Philippines. Now it is a leading technology provider for the latest generation processing equipment used by the world’s top flat panel display manufacturers. It provides solutions for PECVD, a-Si, as well as the World’s first IGZO MOCVD processing equipment. For solar cells, this maker also provides a wide suite of processing equipment, including crystalline and thin film solutions. Proven technology with 342MW installed worldwide, available as a single processing tool, or turnkey solution. And leveraging its core technology in deposition and large area processing expertise, JUSUNG has entered the lighting industry with two technological breakthroughs. For LED application, it developed the world’s first Gen4 OLED processing for lighting applications. Vision Tech specializes in LED lighting systems and solutions. LED lighting has become the de facto lighting of choice for an extremely wide range of lighting applications thanks to its high efficiency and environmentally friendly features. Vision Tech manufactures a full range of lighting products including LED streetlights, security lights, indoor lights, and tunnel illumination. Vision Tech’s LED lighting can replace existing low-efficiency fluorescent or incandescent lights for longer life and higher efficiency. In addition, LED lights do not use harmful gases such as mercury vapors. Vision Tech’s LED lamps use graphite paper heat sinks that considerable reduce product weight, cut production costs, and create a more eco-friendly product. Vision Tech’s street lights use aluminum reflectors that are finely machined for optimal light distribution as well as the housing and heat sink assembly. The light cover is made from semi-opaque thermal glass. The durability, costeffectiveness and energy-efficiency of Vision Tech’s LED streetlights make them ideal for installation along roadways, pedestrian and bicycle paths, parks, schools, reservoirs, factories and other locations that require outdoor lighting. As one of Korea’s newest LED manufacturers, Vision Tech’s core capability lies in its technological prowess. The company has received the NET (New Excellent Technology) and the NEP (New Excellent Product) certifications, as well as certifications for high-efficiency energy materials, green technology, and green management. • Vision Tech Co., Ltd. If you want more information about ‘Vision Tech Co.’, please contact us.